As we approach the end of National Breast Cancer Awareness Month hopefully everyone has learned a lot about prevention. While breast cancer is very important, there are also other forms of cancer to be concerned about. 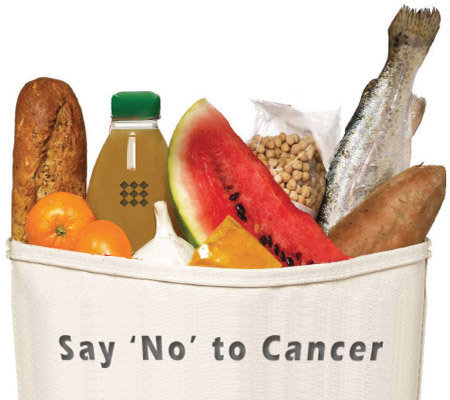 Continuing with the theme of keeping the consumer informed, today we will list five things you can do to help prevent your chances of getting cancer. Unfortunately if you listened to all the studies of things to do to prevent cancer you would basically have to stop living, so we will provide an easy list that will also have other health benefits. Eat Healthy – Eat strawberries, they have phytochemicals that help fight cancer. Getting a mix of fruit and vegetables gives you a mix of antioxidants and phytochemicals. Eat whole grains; fiber helps to remove potentially carcinogenic waste. Lastly, have some tea; it contains catechins and antioxidants that may lower cancer risks. Avoid Smoking – Smoking yourself, or being around others who smoke, puts your life in danger. Secondhand smoke is linked to lung cancer and new reports have surfaced that thirdhand smoke, residue that resides on clothes and furniture may also be dangerous. Drink in Moderation – A study from Rush University Medical Center found that alcohol activates certain cell-signaling pathways that promote the progression and spread of breast and colon cancer. Per the American Cancer society, women should limit themselves to one alcoholic beverage or less a day. Watch your Weight – Being overweight can cause the body to produce more estrogen than normal which may grow certain cancer cells in some women. Exercise and healthy eating habits can help maintain a longer lifestyle. It is recommended that you get moving and become active for at least 30 minutes a day, for five or more days a week. Try the application “mapmyrun” to track your distance when running or walking. Cover your Skin – Melanoma is the deadliest form of skin cancer, this is why daily sunscreen is imperative. New regulations will be passed regarding the labels on sunscreen to make them easier to understand for consumers. Your sunscreen should be at least 30 SPF. These resources and others can be found at MSN Health and Self Magazine.